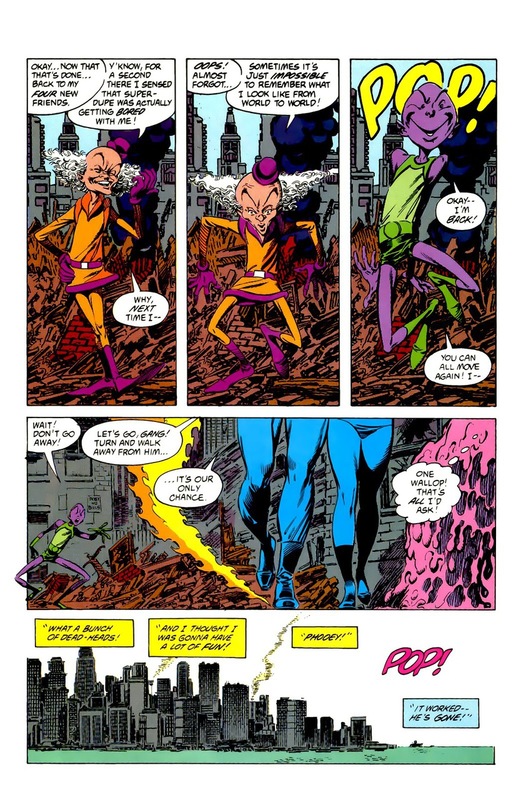 Conversely, didn't Mxyzptlk and the Impossible Man meet during one of those DC/Marvel crossovers? Yep. Silver Surfer and Superman. Impy and Mr. M competed in driving the Surfer and Superman crazy. 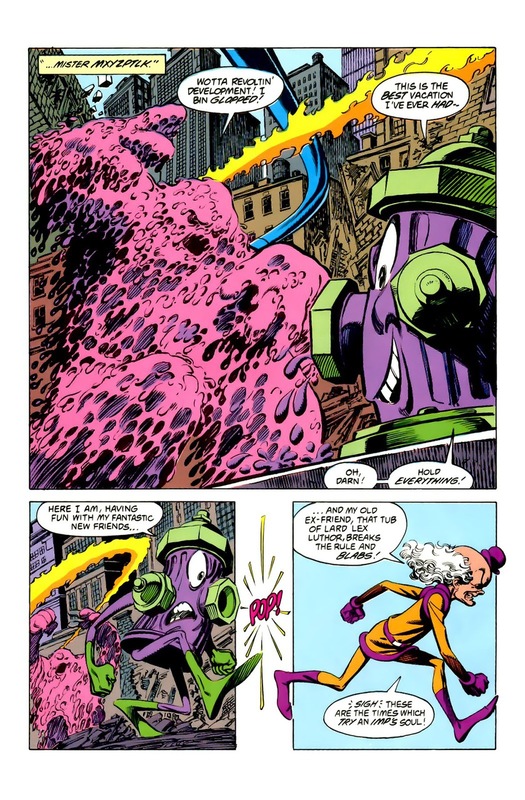 Well the problem with making Mxy and Bat Mite the same guy is we miss out on Worlds Funniest. AKA the best thing ever made ever. So... is this the earliest Marvel/DC reference/parody made? ... My God, what if ALL these "new" heroes that DC has been introducing are REALLY the Marvel Characters they're based on, but all part of a ruse made by Mxy!?! ?